This mat is resistant to most chemicals. 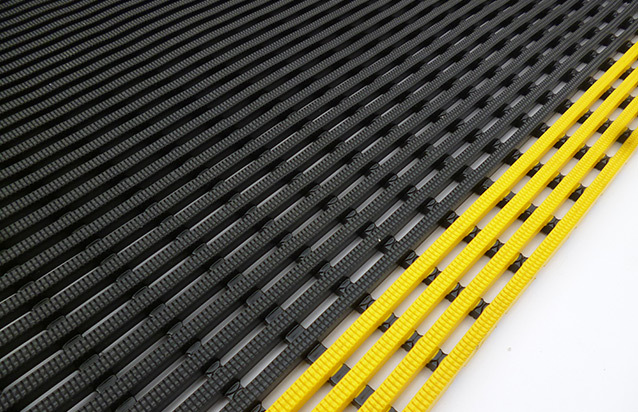 An extremely comfortable mat with excellent durability and drainage the Interconnecting modules allows you to cover large areas and irregular configurations. Built in connectors means the tiles never come apart or curl up and also give you the option to take them apart and stack them away if required. 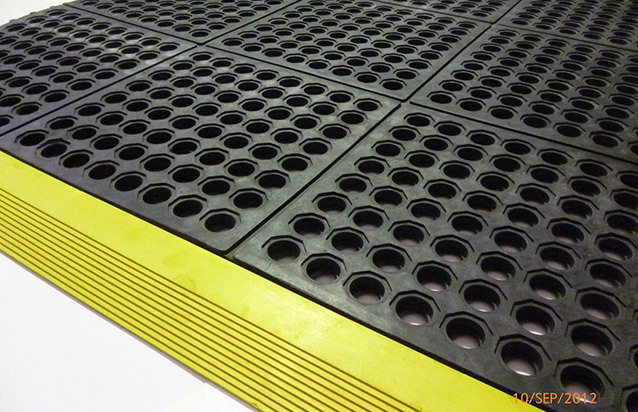 Modular Grease Proof Mat will keep employees comfortable. This exceptional value drainage mat is a convenient 900mm x 900mm workstation size. Its hidden interlocking system connects on all four sides allow for easy installation to cover small and large areas or any desired configuration. 16mm thick, it’s substantial in design and very comfortable. The unique 100% nitrile rubber compound is resistant to most chemicals. Black and yellow safety borders are available. 100% Nitrile Compound (NBR) – for use around petroleum-based fluids. Ideal for use in Industrial sites, manufacturing, Automative Industry, Steel Fabrication, food processing areas, machine shops and other heavy industrial applications.If you have special contours or a large size, let us make it for you. 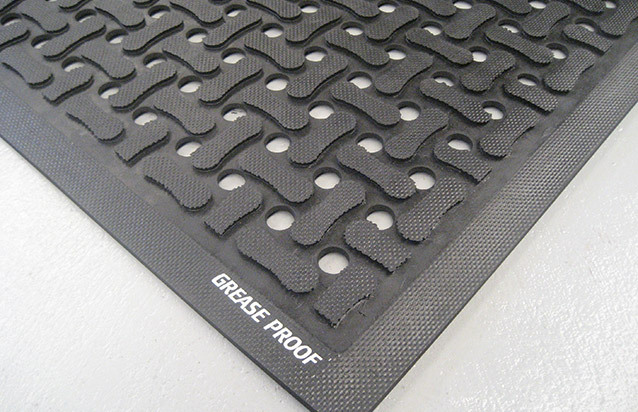 Customised sizes of the Modular Grease Proof mats are permanently locked together. The mats can be cut at 300mm increments.